I've lived in Japan now a little over ten years and over just these ten years life has become much more convenient. Obviously things like e-mail, Facebook, Internet news, bittorrent with easy download of tv-shows and magazines from the home country has made it much easier to stay connected to old friends and the news on what's going on in the old country. Over these ten years Internet shopping has also evolved considerably and since a few years back the Japanese Amazon online shop has plenty of reasonably priced import stuff available through themselves or any of the companies that sell through them. Stuff like Swedish books, newspapers and magazines I can also easily get digitally for the iPad. However, there is one thing that the Japanese have yet to fully discover... The benefits of using deodorant during the hot summer months... 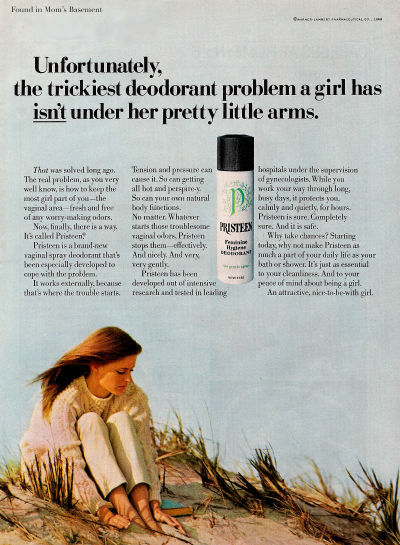 It's practically impossible to get one's hands on a decent can of deodorant here, the few brands that are available through pharmacies mostly seem to be perfume with very little longer term effect against the sweating and stink. Nor has it been particularly easy to find online either and in previous years I have been hoarding up on it during overseas trips only recently found an online shop that carried the brands that I want to use. Ha. I posted on the same topic not long ago. When I moved over to Japan I made sure I brought a stock of deodorant because I heard how hard it was to get there! It lasted me the year I was there before coming home again. I'm just relieved I didn't have my suitcase checked, not quite sure how the airport staff would have reacted. I've never noticed a big stinky problem so much - but that's maybe because I'm too busy freaking about all the nose picking and chicks flashing their lady bits! Maybe the Japanese can't smell each other's BO on account of they have different smell organs (or whatever they are called) just like their taste buds are different.. and maybe 3D. That's one thing they really need to have improvement... BO causes me headache. Maybe they are already immune with that kind of smell. Vaginal Hi gene (?) is a bit behind the ladies in the West. I can vouch for that and that add above should be run in j women's magazines. If you want service you gotta be considerate. It seems like a lot of Japanese people don't have armpit BO like we do in the west but those who do have it bad. What I hate more is the sweat odor in the summer. Numerous commercials spread the idea that you can exercise or wake up covered in sweat and just wipe off your neck with a little dainty moist towel and everything is now roses. It is not. You still reek of sweat. Ἀντισθένης - Yeah, I had to check the history of my blog because I found it a bit strange that I've never really mentioned the lack of deodorant in Japan at any point. Can't remember right now where I got my stuff but I have a good stock now! Neon - You did the right thing bringing the stuff! Kamo - You're the only one who figured it out! Well done! First time commenter :) This topic really hits home with me because I was a high school exchange student in Japan. I had my mom send me all my basic toiletries - Good razors (one blade razors just don't cut it, (pun kind of intended)), Crest toothpaste, perfume and 4-5 sticks of deodorant at a time. The smell was the worst after gym class, especially after softball in July. Oh. My. God. Some girls wanted to try my gaijin routine and I was more than happy to offer some up. Gatsby for men makes this "wet face" thing that comes in a little pouch. They're face wipes, but feel kinda menthol-ly on your skin. I currently purchase it offline and still use it during hot days.